Cambridge Times & KW Record Award Winning Carpet Cleaners For Over 5 Years In A Row! Your floor coverings and upholstery say a lot about you. 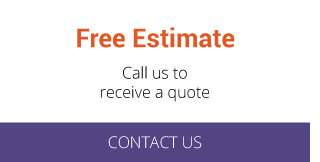 Boost their quality and appearance by putting our 45-plus years of industry-acclaimed expertise to work for you! You’ll see substantial savings by regularly maintaining your home's carpeting instead of replacing! By ridding your carpets of accumulated soil and allergens, you will also significantly improve your indoor air quality. Carpeting is an effective trap for soil and allergens. But it can’t hang on to that stuff forever. If your carpet is not properly cleaned eventually soil and allergens will escape and your indoor air quality will deteriorate. 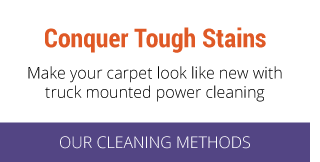 Get the best possible cleaning for your carpets. To effectively remove carpet-damaging soil and allergens from deep within your carpets, we use truck mounted hot water extraction. Research has shown that truck mounted carpet cleaning makes the indoor environment a healthier place to live by reducing gas phase organics, biological contamination and respirable particles. For best results, we recommend that carpeting in a typical household be professionally cleaned every 12 to 18 months. Ceramic flooring needs to stay clean to remain beautiful, and that includes the grouting. The reason your grouting darkens over time is because it accumulates grime. Grout grime is tough stuff and the best way to get it out is by using our professional grout cleaning services. Famous for our tile floor cleaning in Kitchener, Cambridge Carpet Cleaning can give your tile floor a like-new appearance. 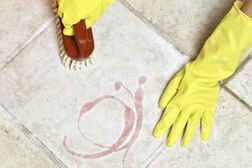 Our tile floor cleaning in Cambridge and Kitchener involves pre-scrubbing your ceramic flooring with a surface tool and then rinsing and clearing effluent using a hot water extraction system. Then we attack that grout grime with cleaner and elbow grease. Our tile grout cleaners meet stringent health and environmental standards while still delivering the power needed to remove that grime. Rediscover what clean, fresh upholstery can bring to the look and feel of your home. Along with carpeting, your upholstery is one of the biggest influences on indoor air quality in your home. To effectively remove the soil and allergens trapped in your upholstery, we use a deep-cleaning truck mounted hot water extraction system. It leaves your upholstery looking and feeling better, and allows you to breathe easier. Contact Cambridge Carpet Cleaning today to find out how our professional cleaning can make a positive difference in your home!